← Who’s right – the sheriff or me? Taking extra game to give away? Answer: This scenario would not be legal. Regardless of your intent, if you have six abalone in your possession, you will be in violation of an overlimit and could be cited and have all of your abalone confiscated. Only three abalone may be possessed at any time by an individual, period (California Code of Regulations, section 29.15[c]). In order for you to legally gift abalone to someone else, that person must be with you to receive and personally take possession of the abalone. Just carrying a note stating that you intend to gift three of the six abalone in your possession to your wife will not suffice because you are still in possession of an overlimit, and are thus in violation of the law. 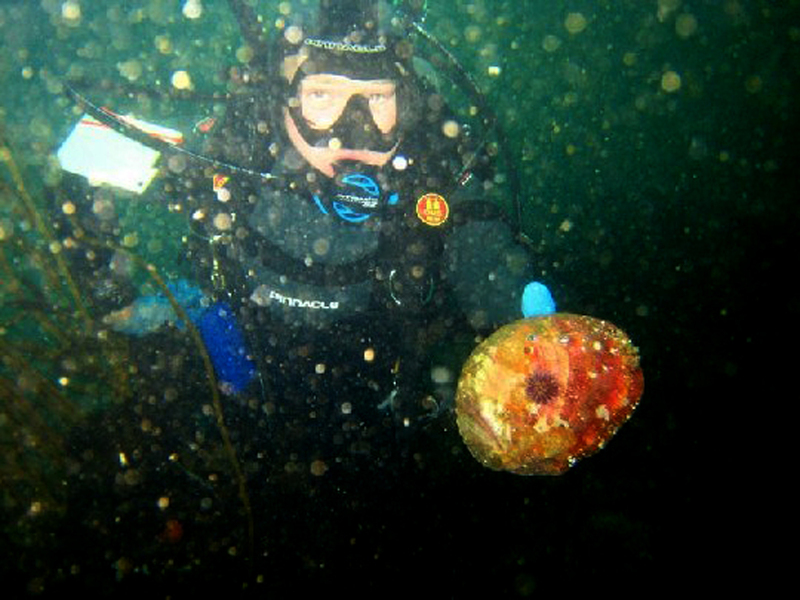 Even though regulations allow for gifting abalone to other people, remember that bag and possession limits are set up as fishery management tools to help control excessive take of abalone. Even with the current limits and regulations, there is concern that some heavily used fishing sites are showing signs of reduced abalone populations. Careful management of this fishery is required to help assure California’s abalone stocks remain healthy and sustainable for continued future harvest through the coming years. Each diver and shore picker should be aware and mindful of this and help whenever they can. Are Native Americans exempt from California fishing laws? Answer: Generally, there are no exceptions for Native Americans in the fishing regulations; however, on some rivers where Tribal Rights have been granted to the native people while on the tribal lands, they may be exempt from California fishing laws. When such exemptions are in place it only applies to Native Americans on the Tribal Roll of the Tribe with the rights. In your example, the paying clients are not exempt unless they are Native Americans on the Tribal Roll of the Tribe with the exemption. Question: We feed birds in our yard year round, but this year we are delighted to have a family of wild quail who have taken up residence in our yard in San Ramon. Our problem is there are also two pairs of raucous big birds that look like and act like blue jays, and they have taken over our yard. Answer: Sorry to hear about the problem you’re having. Unfortunately, the jays are protected under the Migratory Bird Act and so cannot be trapped, contained or hurt. Your best bet is to try to change your feeding methods somehow to exclude the Jays. This may be difficult but it’s really your only alternative. Deer hunting from my porch? Answer: Yes. The safety zone law prohibits shooting within 150 yards of any occupied dwelling without the permission of the occupant. As long as it is otherwise legal to discharge a firearm in this area (e.g. not in the city limits), then go for it! This entry was posted in Abalone, Bag Limits/ Possession, Deer Hunting, Depredation, Fishing, Nuisance Animals & Pests, Private Land, Religious/Cultural Use, Wildlife Management and tagged abalone, deer hunting, Diving, feeding wildlife, migratory birds, Native Americans, regulations. Bookmark the permalink.